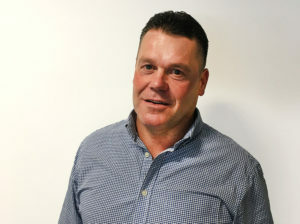 Our Contracts Manager, Mark Birch opens up about his own personal experience. New Year, a new career… a second chance! Why employing ex-offenders makes good business sense. TRAD believe it is part of our social responsibility to give people a ‘second-chance’ and that includes ex-offenders. Our corporate needs are also met as – with the proper training and supervision – we have found that the attitude and work ethic of prisoners and ex-offenders wanting to get their lives back – has been excellent. You obviously suffered a set- back in your career when you were imprisoned, what lead you to be incarcerated and what lessons did you learn? Regrettably, because of ill health I just went into a downward spiral. I was stuck in the trap of what you think is ‘easy money’ not considering the damaging risk at the time. It really was an incredibly low point in my life, hurt my family tremendously and I wasn’t prepared for my actions and the consequences, to catch up with me. Being trapped inside the same four walls every day, you soon do anything for more freedom, I joined the gym, started distance learning and in my last year was able to work away and have home visits due to good behaviour. Becoming more aware of my personal situation and illness gave me an eye opening experience and I can honestly say that ‘I am a changed man’. Not only has my fitness changed but my whole mind-set and attitude is totally different. I understand that you worked for TRAD prior to your imprisonment? When was this and how it come about? In the mid 90’s; a co-worker who I previously worked with joined TRAD as a Contracts Manager and he head-hunted me to work for TRAD, leaving notes on my car etc. as back then it wasn’t as easy as it is now to communicate. How did communication with Neil Garner, MD of TRAD Scaffolding come about and how long were you in discussions to re-establish your career in Contracts Management? When I was in prison, my health and general wellbeing started to get better through medication and fitness, this is when I first made contact with Neil Garner. I wrote to Neil explaining about my circumstances and how my ill health took me down the path I followed. In my letter to Neil I said that I was ready to re-start my life. To be honest, I really didn’t think it would go anywhere, but thankfully I received a response from Neil and we kept in touch through writing and Neil also made a few visits. I had a 10 year sentence but due to good behaviour I was released after 5 years. I believe that you started as a scaffolder; what led you into Supervision and how far did you progress with TRAD? I initially tried supervising and on both occasions I didn’t really ‘take to it’. The second time (in the early 2000’s) unfortunately I was suffering from ill health which I wasn’t aware of at the time (my thyroid gland stop working). I had no energy and couldn’t cope with the workload, this was when I got myself into trouble, trying to find money to support my family from other revenues which weren’t legal but quick fixes. I was feeling desperate and needed to ensure that I had a roof over my families head and food on the table, which led me to be caught up in a big operation, which rapidly turned sour. Firstly and most importantly “I would recommend ultimately not getting on the wrong side of the law, because it isn’t just yourself that suffers it is your family, children and friends who are the most affected. It is hard for an ex-offender to start their lives over again. But by TRAD giving me that lifeline, a second chance – they are allowing me an opportunity to improve and better my situation. Did TRAD have any Training / Mentoring for programmes in place for supervisory positions like they do now? Initially no, however the second time there was an excellent structure in place on how to develop as a Supervisor and I was given ample guidance and support, however I did struggle due to poor energy levels and not being able keep up with the workload. Now TRAD’s Training and Mentoring is fundamental, we have a comprehensive programme in place (Knowledge Inspired) where we aim to develop the individual and provide them with tailored support. As you know, TRAD have signed the ‘Time to Change’ pledge with regard to the mental wellbeing of our workforce. I believe that in prison there is a large focus on this subject. Can you tell me your experiences of this? Yes, I have volunteered my assistance to become ‘a well-being Listener’ as part of our ‘Time to Change Pledge’. As you can imagine this is a topic close to me – during my time in prison I witnessed a lot of people who were suffering. Just like the Scaffolding industry the ‘macho image’ is everywhere, more so in prison. Very few people feel they can open up and I witnessed several unfortunate incidences. I would often approach people who I felt were suffering in silence and hoped that they would open up to me, especially the young offenders. I felt like a protective Dad wanting to take them ‘under my wing’. I believe the best tactic in helping people ‘open up’ is to not label them with the phrase ‘mental illness’, because a lot of people react negatively and because of the stigma around it. Finally in your opinion what do think makes TRAD stand out from the other scaffolding companies? Being able to successfully complete varied jobs to an epic scale and the Health and Safety policies which we have in place at TRAD makes us stand out from the other companies – which is fantastic for the workforce and the client. ‘SAFETY’ is embedded into everything we do and for such a high risk job like scaffolding… it is imperative!